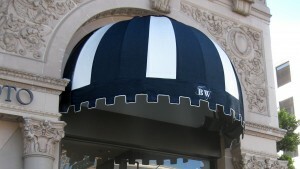 At World of Awnings, choose from an array of styles and types of awnings to customize with any color, pattern, or size. 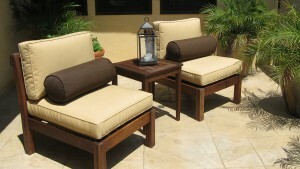 See examples of the various options by clicking the pictures below. 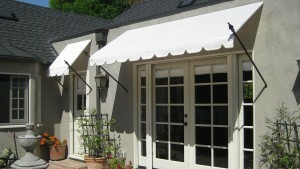 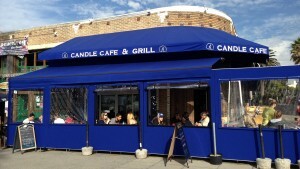 The four main types of awnings are stationary, portable, retractable, and motorized. 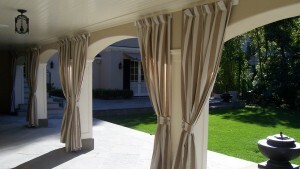 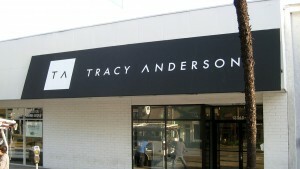 Stationary awnings: A stationary awning is permanently installed to the building exterior. 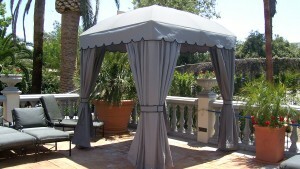 Portable awnings: A portable awning is freestanding so that it can be moved from place to place. 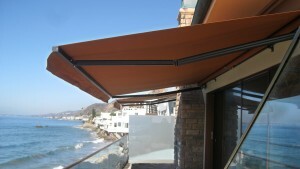 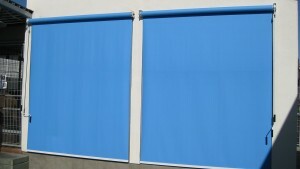 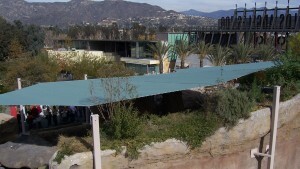 Retractable awnings: A retractable awning may be rolled or folded when it’s not in use. 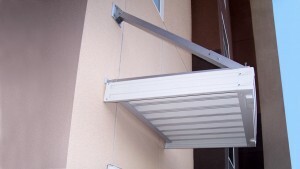 Motorized awnings: A motorized awning is a retractable awning that uses an electric mechanism, perhaps with a remote control or automatic sensor, to control the awning’s operation. 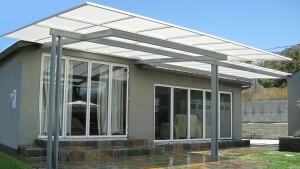 With a sensor, for example, your awning can be activated based on the sunlight or wind speed. 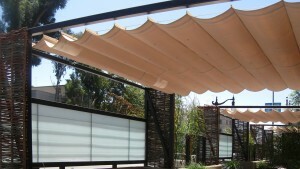 Canvas or cotton: Canvas and cotton awnings are resilient and flexible, making them especially useful in retractable units. 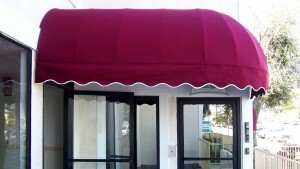 However, as these natural fabrics are prone to mold and mildew, most of these types of awnings are coated in a synthetic fabric to make them more durable. 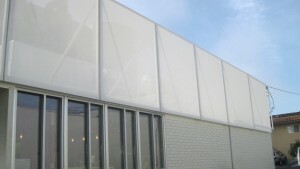 Synthetic fabric: Usually vinyl, acrylic, polyester, or a combination, synthetic fabrics come in a variety of formulations and coatings. 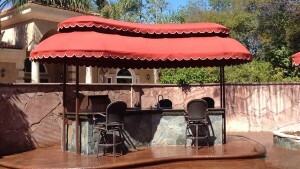 The team at A World of Awnings can recommend the best option for your use. 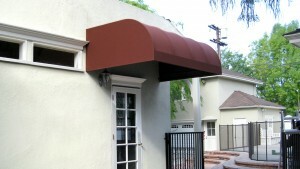 Metal: Usually made from aluminum, metal awnings are durable and strong.